Another man – reported to be a nephew of Gerry “The Monk” Hutch has been shot dead in Dublin city centre in daylight as a gang war spirals out of control. 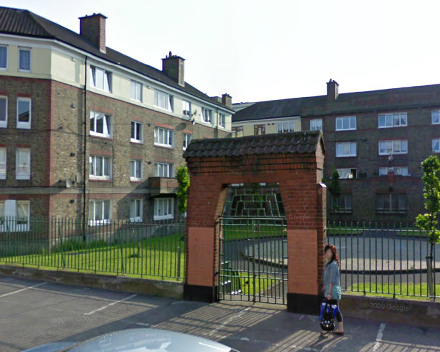 Concerned members of the public took to Twitter to voice their concern as yet another victim, in his 30s, was murdered in Dublin this morning in the north inner city at Avondale House Flats, North Cumberland Street at around 10 am. The Irish Independent reported the victim is a nephew of Gerry Hutch. The newspaper reported that the man was shot in a car and up to six shots were fired by up to two gunmen, who fled the scene. This is the seventh murder since last September in the Kinahan-Hutch gang war that is spiralling out of all control. Crime correspondent for the Irish Star Michael O’Toole told Pat Kenny on Newstalk, he could not see an end to the gang war – because it was “personal” between the two gangs. Meanwhile the communities that have been hit by the murders in recent months are becoming increasingly terrified at the prospect of even more bloodshed. The victim was taken to the Mater Hospital. The scene has been preserved and gardaí are seeking witnesses. Emergency personnel are still at the scene and a garda helicopter was in the air looking for the killers.